Based on the layout of your home and the degree of termite infestation, Orkin will create a customized treatment plan tailored for your home. Used to treat voids in interior and exterior walls, around heating ducts and water pipes, under slabs, and for certain other surfaces, OrkinFoam expands to reach critical areas, which provides extra protection against termite infestations. The low moisture content of Orkin Dry Foam® prevents it from soaking through drywall and creating damaging wet spots. This treatment disrupts termite molting processes, stunting their growth, and is applied to areas at most risk of attracting the pests like moist soil or mulch, old tree stumps, irrigation sprinkler heads, and downspouts. Sentricon® provides continual protection without causing damage to your property. After service is completed, your Orkin Man® will fill out a Termite Control Service Ticket that explains exactly what was done and when he’ll be back to monitor the progress of treatments. 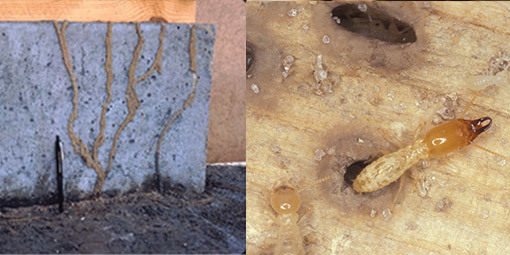 Consumer Alert: Property enhancements, additions and alterations may compromise termite protection: Read the NPMA Alert (pdf). 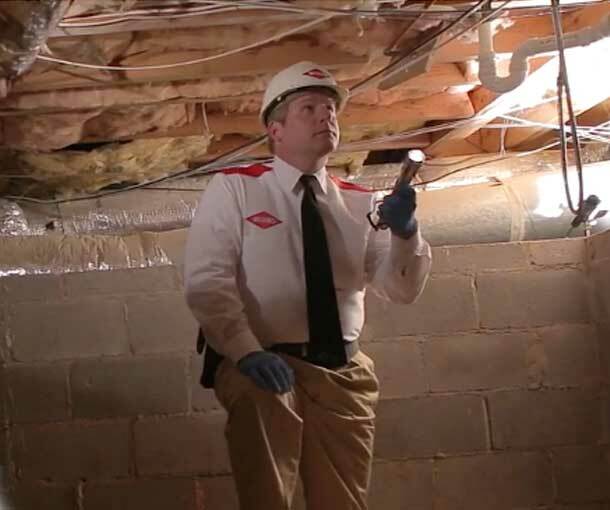 An Orkin Specialist will perform a thorough examination of you home by checking your basement or crawlspace for moisture, your foundation for wood debris, and other risk areas that may attract an infestation. Orkin utilizes state-of-the-art equipment such as IR thermometers, moisture meters, and termite detection systems to help him scientifically assess your home. When we are done, you will receive our recommendation, complete with customized digital diagrams and an Orkin Inspection Report outlining problems we identified, as well as recommended plan to protect your home from termites. If Orkin finds a termite infestation or the potential for one, he will discuss the best solution for your situation. OrkinFoam treatments expand to reach critical areas, providing extra coverage and protection against termites. After your treatment, your Orkin Specialist will implement a Continuous Termite Protection Plan to monitor and help protect your home for any future signs of termite activity. Your plan will also include a Re-treatment Program. That way, in the unlikely event that termites invade your home following our visit, Orkin will also return to battle the problem at no additional charge. Orkin will perform a comprehensive inspection of your home and will then prescribe a customized treatment designed to help protect your biggest investment — your home. Orkin bases treatment techniques on your home's specific construction type because we understand that every home is unique, and not all customers' needs are the same. If termites happen to return following your treatment while under our warranty period, we promise to re-treat the problem at no additional charge. When you have a pest problem or want to protect your home from future invaders, we apply our science-based approach to help identify the root of your problem and implement a solution made expressly for your home. During each visit, you can count on a highly-trained Orkin technician to investigate, protect, fortify, keep watch, report, and follow up to maintain our Points of Service standard. 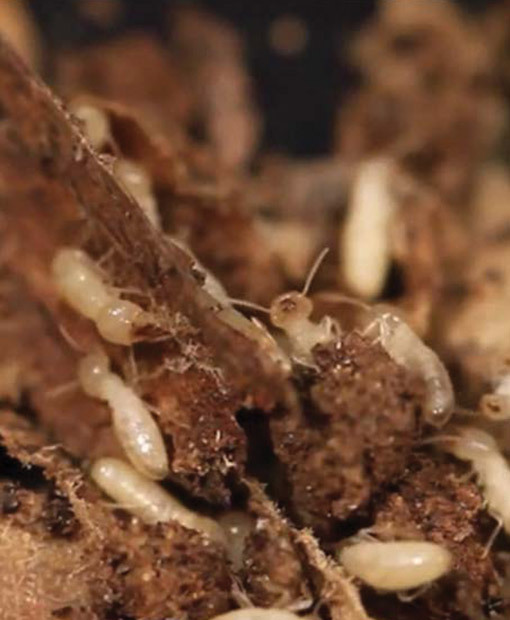 Learn more about termites in the Orkin Pest Library. The only way to beat pests at their own game. The technicians were personable, knowledgeable, and not only willing to accommodate my need to keep indoor only cats confined, they went out of their way to insure the cats were safe. Top that off with the neat way they filled all the visible holes that had to be made in drywall. After the Harvey flood, they were pro-active in contacting me about redoing the outside barrier, and got it done earlier than I might have expected. All in all, I couldn't be more pleased with the service and the product. High five, guys!! !